His career has spanned almost six decades, so no wonder that Sir Tony Robinson is allowed to put his feet up when performing on stage. In fact, Sir Tony, who was knighted in the 2013 Birthday Honours for public and political service, gets to sit down for the majority of his show that provided a fitting finale on the last day of the 2017 Lichfield Festival on Saturday 15 July. This was billed as Sir Tony Robinson In Conversation, with the questions at the Lichfield Garrick theatre being put by Charlie Jordan from Smooth Radio. But, with the show lasting only one hour it was a shame that several minutes were taken up with asking questions, and that was before the last quarter of an hour was given over to a Q & A with the audience, one or two of whom were equally verbose. 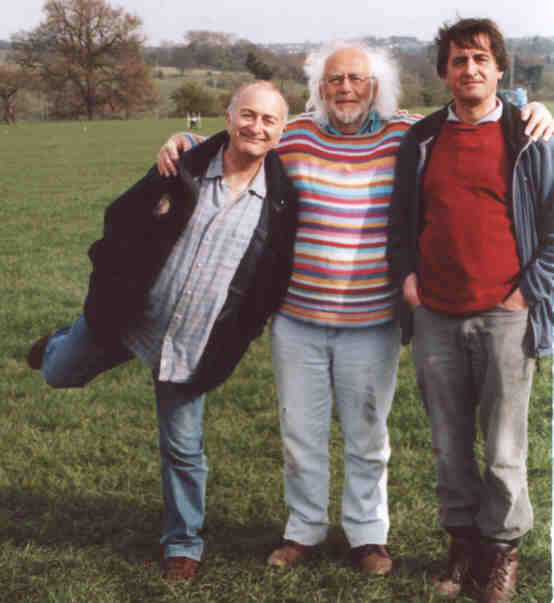 Tony Robinson, of course, is most famous for playing the role of unsavoury dogsbody Baldrick in the historical sitcom Blackadder, which ran for six years from 1983 until 1989. He played alongside Rowan Atkinson as Edmund Blackadder, while other notable actors included Stephen Fry, Hugh Laurie, Rik Mayall, and Miranda Richardson. 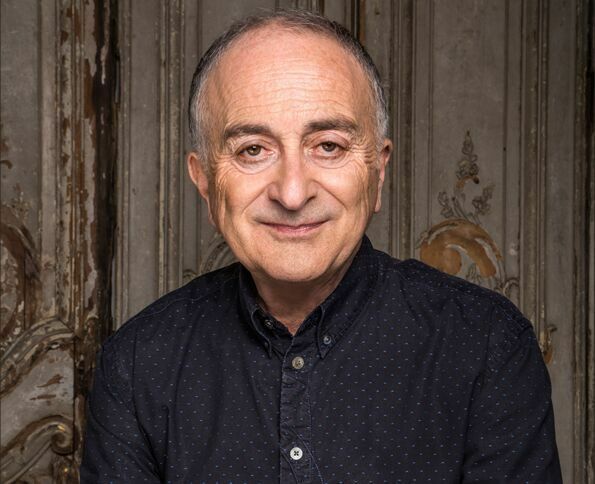 Sir Tony confesses that landing the role of Baldrick was one of a couple of "ridiculous breaks" in his career - the other being cast in the original West End stage version of Oliver! at the age of just 13. The then child actor went on to become the understudy to The Artful Dodger, so took on the part on numerous occasions. 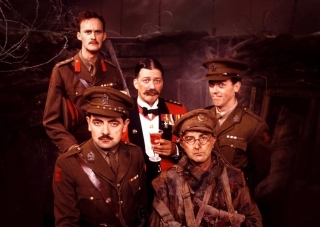 Sir Tony gives a wonderful description of what went on behind the scenes during the shooting of the closing moments of the final episode of Blackadder Goes Forth, which poignantly sees the main cast members going 'over the top' in the World War One trenches. He also reveals that he ended up offering HRH Prince William a role in any future episode of Blackadder when he received his knighthood. And he ends up in Baldrick mode to recite the sort of WWl poem that only Baldrick could. No wonder that Sir Tony's autobiography, copies of which were available on the night for signing, is called 'No Cunning Plan'. But Sir Tony, who says he is still known as "ere Tone" in his native London despite his knighthood, is probably equally well known as the presenter of archaeological history show 'Time Team', which has been running on television since 1994. He says the idea behind the show was to perform what he calls "keyhole archaeology" to find out what's in the ground, record it, and then walk away. But he admits there was some criticism from "academic archaeologists" who said they weren't doing it right, and that Sir Tony ran around on dig sites when no-one is meant to run on archaeological sites. The remainder of the show is given over to some of Sir Tony's other successes, including Maid Marion and Her Merry Men, which was inspired by his then 10-year-old daughter, becoming theatre director at the Mac in Birmingham at the age of just 22, as well as the various books he has written, initially with the help of Richard Curtis before he found major fame and success as the screenwriter and producer behind such hits as Love Actually, Bean and Notting Hill. No wonder he tells the audience "I have been so lucky with what I have done". Sir Tony closes the show by promoting the forthcoming Memory Walks in aid of the Alzheimer's Society, of which he's an ambassador, after revealing a moving meeting with his mother, who had dementia.